For many entrepreneurs, the end game in building their e-commerce website is the eventual sale of the business. It starts with a product idea or maybe an affinity for a marketplace platform like Amazon.com, it grows into a profitable online business through finesse and hard work and ultimately ends up leading to the question “how I sell my internet business?”. 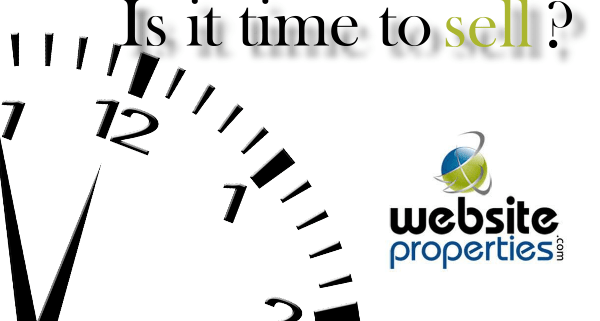 For over 16 years Website Properties has been helping internet business owners answer that question and by representing them and their websites for sale. Like most business activities, there is a well-defined path for selling your online business website, essentially a step by step guide on How to Sell Your Online Business. Each step moving you closer to the goal of closing a transaction and selling your online business website. If you like, step Zero in the process is the decision to move forward with selling your business. After that bridge is crossed, the other steps follow a logical progression towards closing the sale of your internet business for sale. Step one of the process is deciding if you should sell your website business yourself or engage the services of a website business broker to assist in the process. Business brokers can bring a lot to the table, especially those specializing in websites for sale. Their years of experience will help you attain a quality business valuation, their marketing channels will get the word out quickly regarding your online internet business and their qualifying & negotiating skills will help make getting to an offer a much smoother process. They can also help you navigate due diligence and all the other steps to selling your internet business website. Step two, get a business valuation to determine the market worth of your business. Your business valuation will be based on many facets of your business, some objective, others more loose or intangible. 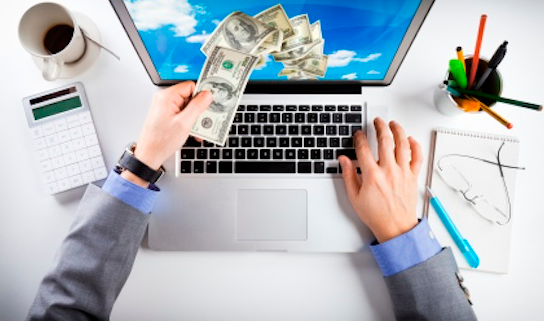 The key objective feature of your internet business for sale is its ability to make money. Buyers are interested in knowing how much money, in the form of owner’s discretionary cash flow, your business puts off during the most current 12-month period. They will also be interested in your earnings trend over the past several business years. Together these two data points give them an idea of how profitable and stable the businesses’ current operations are. The more stable and safe a business looks; the more buyers are willing to pay. In addition to the cash flow, buyers also want to know about the niche the business operates in key vendor or market exclusives it has (brands, trademarks, exclusive sales agreements), and any other item that helps protect the business’s future success. Marketplace exclusives lead to stability and improve the chances the website business will continue its current performance which in turn helps buyers to become comfortable with the business and even offer a premium for those features. Your website broker will help put all the pieces together and come up with a market valuation for the business. While the process can never be 100% accurate, most brokers will have the experience and the current market expectations that will allow them to provide a very accurate estimate. This is an important decision point for most sellers. If the valuation matches their expectations, the decision to proceed is easy. If the valuation is less than the amount you are willing to sell your internet business for, you have a couple of choices; reset your expectations based on the market valuation or re-engage your business with an eye to improve the characteristics that increase value for your particular website for sale. The right answer very much depends on the individuals and the current state/potential of their business, there are no black and white answers. If you do decide to buckle down and refocus on the website, be honest with yourself and make sure you have the passion to make it happen. It is always better to sell a business in its growth phase than after decline has set in. If you are not sure you have what it takes to push through to the next level, selling now at a lower exit price may be a better long-term deal than continuing on, but never attaining the growth required to build to a better selling price. Step three is preparing your business for sale. With the market value of your online website business in hand, you can now focus on creating the marketing content and data you need to present your business to prospective buyers. Here again, a website business broker can save time and effort by providing time proven formats for presenting your online business data. Quality online business brokers will create this marketing material for you as a part of their service. This is also an important time for you to tidy up your internet business for sale in preparation for buyers reviewing and looking under the covers during due diligence. Activities to undertake include; getting all your finances in order and up to date wherever possible. Collecting all the data you will need to authenticate your business operations such as bank statements, tax returns, merchant account statements or other financial business documents. The transaction and your website for sale will likely require the transferring of key assets to the new owner, items like domain names, hosting accounts, advertising accounts and other important parts of the business. Contacting your various service providers early will help you identify potential hang-ups and work on them in advance to ensure a smooth transfer at closing. Finally, if your business holds inventory, review it now to see if there are any simple steps you can take to get your inventory into better shape like selling off dated or slow-moving items. Also remember, it’s important to make sure you continue to acquire the correct inventory levels during the sales process. Nothing hampers a close like a buyer finding out they are taking over a business that is out of stock and will not be able to fulfill important product orders for 60 days due to manufacturing and shipping times from the product supplier. Step four is marketing and starting the public process of selling your online business website. As a website business broker, we sell a lot of online business websites and accordingly over our 16 plus years in this industry we have built a private buyers list of almost 17,000 buyers. These buyers are active, sophisticated, professional buyers and sending your internet business for sale out to this group creates immediate interest. Having access to a website business broker’s private contact list is another benefit of involving one in your online business sales process. In addition to a private buyers list, your website broker will also have brokerage relationships with most, if not all the online “business for sale” portals. These websites have 1000s of business listings, many of which are either websites for sale or online businesses for sale. They attract thousands of business buyers each day in search of new business opportunities. The listings on these sites can be expensive, especially if you purchase the premium ads to ensure that your internet business for sale gets the maximum exposure and can set a seller back many thousands of dollars over the time it takes to sell the business. If you have enlisted a website business broker, they will pick up these costs as part of their service. Together, these two marketing activities will put your online business for sale “front & center” with tens of thousands of buyers, venture capital firms and high net worth individuals in just a few days. This high level of visibility for your website for sale will generate interest quickly and help lead to quality offers for your online business. Step five in the process is to execute the sales process. Once in the marketplace, your online business website for sale will generate interest and lots of questions from buyers. If you have chosen to engage a website business broker, they will handle all the front-end legwork. They will field all the questions regarding your website for sale, qualify the buyers and their interest level and negotiate on your behalf to make a deal that works for you. Having a broker assist with this task can save you many hours answering questions and taking calls from interested parties. Good brokers are masters at quickly separating the real buyers from the tire kickers, allowing you to only spend time with the buyers that may potentially buy your online business. Throughout this process, your broker will keep you up to date on all the serious buyer interest and ensure you stay in the driver’s seat of your internet business for sale process. The goal of the sales process is to find a buyer willing to table an offer suitable to you, the seller. The form of this offer will most often be a Letter of Intent. This is a non-binding document that allows the buyer to signify in writing what they wish to buy, how much they are willing to pay and when. If the offer is accepted both parties move on to the step six, Due Diligence. Due diligence is the last significant step in selling your online business website and is essentially the buyer’s opportunity to review all the assets for sale in detail and ensure that they meet their acceptance. During this phase, the buyer will want to examine all the financial records, vendor agreements and all other assets critical to the operations of the business to ensure they matched the details shared with them during the sales process. While this process can be long and detailed it is important that the sellers stay open, organized, and willing to work with the buyer as quickly as possible. Completing this step will be the last major hurdle between them and selling their online business for sale. In concert to working with the buyer to complete due diligence, this period is also the time to involve your attorney to complete the sales agreement for this transaction. Most websites for sale under $5 Million dollars close as an Asset Purchase, so the definitive agreement for the transaction is an Asset Purchase Agreement. As an asset purchase, the buyer is buying all the assets of the business that allows it to operate (website, marketplace accounts, vendor relationships, customer lists, brands, trademarks, etc.) but not buying the business entity itself. This form of purchase is much simpler to execute from a legal perspective and for small to mid-size online business sales, it is the preferred method. The Asset Purchase Agreement will define all the key aspects of the sales transaction including the assets, purchase price and typical representations and warranties of this type of sale. In addition, it will also highlight the closing process and the steps to be taken to transfer the assets from the seller to buyer. Once signed, both parties will execute the closing process on the closing date, triggering the release of funds from the buyer to the seller and completing the sale of your online business website. Congratulations, you have sold your online internet business. As a closing comment to the steps to sell your internet business, the topic of protecting your interest during the sales process is important to address. Throughout the process, you need to take steps to protect your confidential business information and your business. You should consider every aspect of your business, its financial data, customer lists, vendor list and even the fact you are offering your business for sale as confidential. Buyers interested in seeing your business details should all be required to complete a non-disclosure agreement before any data is released to them. This not only protects your interest from parties only looking to harvest you IP or business processes but also helps keep real buyers onside and prevents the sales process from getting sidetracked by the misuse of confidential information. As a Website Business Broker, Website Properties has spent over 16 years creating the processes, experience and buyer networks to make selling your online business website a smooth and trouble-free process. If you are ready to sell your internet business, we would be happy to offer a free consultation and business valuation to help you start the process right. With over $107 billion dollars in net sales in 2015, 304+ million active customer accounts worldwide and an 81% online user reach in the US, Amazon’s massive presence is undeniable. Its size and continued growth is what attracts sellers around the globe to enter the Amazon space as a sales channel for its products with the hope of capturing a share of its customer base. While the fundamentals of an Amazon business differ from traditional website businesses, the process of selling it is similar. It all starts with getting a proper valuation. History – How much history does the business have? The more established the better since a longer history equates to less risk for a buyer and thus is valued higher. Cash Flow – Amazon like website business are valued based on a multiple of the Trailing 12 Month total EBITDA and less owner compensation and discretionary items. Trend – Is the business growing, flat or on decline. Vendor Relationships – Are there any special or exclusive vendor/supplier relationships? Inventory Management – Does the business stock and manage its own inventory or does it use Amazon FBA for fulfillment similar to a dropship model of a website business. Products Offered – How many products are offered for sale? Unique Brand – Establishing unique appeal in the marketplace has become an increasing important element of brand development and holds even greater importance for Amazon FBA based businesses. An established brand can have a significant bearing on getting a better market valuation as well. Unlike a business whose majority sales channel is its own website, Amazon based businesses don’t have traffic, customer database and search engine positioning to reference as indicators of its performance. Instead it relies on Product Reviews, Amazon Product Ranking and Amazon Keyword Positioning for its success making these markers also valuable for its sale. Once a valuation has been completed, the next step is to create a marketing presentation of your business to share with prospective buyers. This document is typically called a Prospectus and is an important part of representing your business. Finding the right buyer and negotiating the transaction toward a closing sale is the last step on this journey. Reaching internet business buyers specifically interested in businesses operating in the Amazon marketplace can seem like a daunting task. Having an experienced internet business broker who knows the Amazon playing field handle the sale of your Amazon business has several benefits. Not only does the broker have the expertise in appraising the business to establish a fair market value, preparing a marketing strategy to maximize the exit price, creating a professional prospectus for prospective buyers to review, but also works knows how to reach the right buyers. Reaching qualified Amazon Business Buyers and being able to discuss the nuances of this particular landscape is truly an invaluable service toward achieving a successful exit. So you’ve decided to take the leap and purchase a website business, perhaps because you would like a career change or want to work from home or you are retired and would like an additional revenue source. Another exciting reason to join the ranks of ecommerce owners might be the attractiveness of the size of this massive market. According to eMarketer, retail eCommerce sales will reach $1.915 trillion by the end of 2016, a growth rate of 23.7% rate for 2016. The reason for purchasing a website business will be different for everyone, but most would agree that it is the freedom to work from anywhere, the flexible schedule and the opportunity to create a business to suit your specific needs that most people find appealing. Start by asking yourself why you want to buy an online business. Are you passionate about your objective? What are your expectations? Be honest and realistic with yourself. Then choose the most doable idea, focusing on your strengths. Do not plunge into the most difficult online business, choose a simple model at first. Perhaps an online business that doesn’t stock inventory and one that is well established. Next learn the language of the online world. Make yourself familiar and comfortable with the vocabulary of the internet in general and your niche in particular. Understanding the common terms you will hear and deal with will help you gain a strong foothold on the internet and help you connect better with your customers and their needs. Consider acquiring an established internet business versus building one from scratch. Typically when purchasing an existing website business, the seller is more than willing to assist and train a new owner for a period of time. You can also continue operations as is until you learn your way and then make changes you desire in order to grow the company. Know your audience. Since your business will be focused on an audience, the success of your online business hinges on them. You will then be able to tailor an effective and successful marketing plan. Once you have identified your audience, you must then figure out how to reach them. Differentiate yourself. Prove to your target audience that you are the best choice in your niche. Now comes the technical side of a website business – analyzing your website visitors and utilizing analytics to optimize your site. One of the greatest tools is the ability to measure, track and test campaigns to see how visitors react and use this to maximize your website’s effectiveness. There are many resources online these days that explain and teach the skills necessary to understand and interpret website analytics, how to optimize your website as well as on marketing, entrepreneurship and business management. Promoting your website business and continuing to reach your audience through a purposeful marketing strategy, makes all the difference. There is a great variety of internet marketing strategies available. If you are purchasing an existing online business, the previous owner should have a marketing plan in place for you to follow for the time being. You can then explore and educate yourself on all the available marketing options and which suit your needs in your niche the best. Remember, you can always hire employees and contractors short term to deal with key tasks or areas with which you are not yet familiar. Understand what the duties will be, how they will accomplish the tasks, perhaps the roadblocks they may face, and for what length of time you intend to need them – permanent or short term. And finally, scaling your business. Develop strategic relationships, work with vendors for favorable pricing and negotiate partnerships that allow the business to scale rapidly. Then be sure you have the systems and processes in place to keep up with the increased demand. Automation through software and technology can ensure a controlled process and speed up the time spent on doing tasks manually. Don’t expect miracles with your first foray as an online entrepreneur. There is a lot to learn and hard work involved. But as a result of researching and applying the key components of running an online business, knowing and utilizing your strengths, admitting your weaknesses and investing in resolving them, there is no reason why having no online experience should hold you back from success. Your efforts will bear fruit! David Fairley, Website Properties’ President, was recently interviewed by Forbes Magazine regarding how individuals throughout the US are starting and building million dollar businesses from their own homes. The internet is a wide open playing field for entrepreneurs and David’s comments and the Forbes article give helpful suggestions to start of your next 6 figure business. “The average person can be successful online pretty easily by creating something very niche-oriented,” says David Fairley, founding partner and president of Websiteproperties.com, a broker of internet businesses based in Yelm, Wa. “The more niche-y,” the better.” Fairley has run and sold his own internet stores, such as Hammocks.com, which was acquired by the large internet retailer Hayneedle.com. You don’t need to find a weird or unusual niche, Fairley says. “A lot of times these ideas come from what you are doing in your own life,” he says. In some cases, internet entrepreneurs have realized there are only a few offerings in a particular category of product and decide to collate what’s out there. “Suddenly they have a business model,” he says. If your ultimate goal is to create a valuable internet store you can sell, keep good financial records by using a program like QuickBooks from the start and play by the rules when paying taxes, Fairley advises. “The more organized you are, the easier it is to get through due diligence—and close the deal,” he says. To view the entire article please visit the Forbes.com website at the link listed below. When a business owner makes the decision to sell his/her online company, one of the next questions that usually follows is whether to hire a website business broker to handle the sale process or to try to sell on his/her own. Hiring a website business broker provides a number of services that will prove valuable to the process and could make the difference between the sale process being a joy or misery. A broker knows how to properly appraise and value a business. Accurate pricing is important to not only maximize the exit for the seller but also to attract interest from prospects to review the listing. Often, prospective buyers will pass over a listing and not even inquire if its price is at too high of a multiple of its cash flow. A quality website business broker will thoroughly review all the important and unique fundamentals of your business including its financials history to determine the best pricing for the current market. Brokers will typically offer a website business evaluation as a free, no-obligation service making this a very useful resource when first considering the sale of your business. An online business broker will work closely with you to understand all the details of your company and create a professional brochure of your business for use in introducing your business to potential buyers. This business prospectus will highlight all the great features of your business giving buyers the information they need to determine if your business may fit their acquisition criteria. The prospectus is an important marketing piece for the sale of your business as it offers the first impression to buyers and captures their attention. Not only does preparing the prospectus document and listing take time, but handling and responding to all of the inquiries about the business once its listed can be exhausting. Hiring an internet business broker who will manage all of the inquiries including the tire kickers frees up the seller’s time to do what he/she does best…. continue to run the business. In order for a seller to get the most value out of the sale of their website business, it is important for him/her to keep an “eye on the ball” so to speak. Being distracted from running the business to facilitate the sale of the business could affect sales and downward sales put downward pressure on price. As any parties show serious interest in your website, a broker will be essential in negotiating the terms of incoming offers to maximize the best exit for you. As your transaction progresses, it’s important to have an experienced professional on your side to work with both parties to finalize the purchase details, plan the transition & education and work through any final issues that may arise on both sides of the deal. From Letter of Intent (LOI) through Due Diligence, right to Closing and the signature of your Purchase Agreement, an internet business broker will be with you each step of the way. Hiring a website business broker has a number of clear benefits. Not only does the broker work with the seller to appraise and establish a fair market price for the internet business, to prepare a marketing strategy to maximize the price, to create a professional company prospectus for prospective buyers to review and market through their own database as well as various MLS services, but also works with the prospective buyers. He/she will interview, screen, and qualify prospective buyers as well as assist with closing, financing, and escrow services. Hiring a full service brokerage is well worth it for a hands free approach to selling a business. A “hands free” approach is what will allow the seller the time to continue to focus on maintaining profitable operations and thus assist themselves in maximizing the value of their website during the sale process without being overwhelmed in the process. At Website Properties, our service encompasses the entire spectrum of the online business sales process. Starting with understanding the business goals and establishing a marketable value for the company, all the way through marketing the site, qualifying buyers and preparing an offer, having the right broker handle these responsibilities is truly an invaluable service. As very knowledgeable internet entrepreneurs and website business brokers, our brokers are professionals who are experienced in the ecommerce industry. Having sold hundreds of websites for clients, they have the skills to manage the sale of your business with the best outcome. In addition to having the experience and the skills to effectively handle your transaction, we have the client base to reach the right buyer. We start by connecting with our private buyers list of over 13,000 clients. This list is made up of active, sophisticated, professional buyers and generates interest in your business almost immediately. We also use our network of Business for Sale portals, venture capital contacts and high net-worth individuals to further spread the word regarding your business. We’ll get your business “front & center” with tens of thousands of buyers in just a few days, leading quickly to interest and ultimately to an offer that works for you. Contact us today for a free website business valuation and let us manage the details of the sale process while also helping you achieve a great exit strategy! 1. Organize Your Data – Prior to actually posting your listing for sale, you’ll need to submit various details about your company that will be compiled into a professional presentation usually called a prospectus. Getting your statistics and financial bookkeeping organized and gathering other details like customer demographics, market share etc. will go a long way preparing an excellent, accurate marketing piece that attracts attention and interest. Providing accurate business details at the start goes a long way in gaining buyers’ trust in the material provided and thus interest to find out more. In addition, doing the leg work up front at this stage pays off during the due diligence stage once an offer is accepted…..nothing drags out and throws a proverbial wrench into a deal more than chaotic books and records. 2. Keep Your Data Updated – Beyond the initial data that you submitted to create the prospectus for your company, you will need to provide updated Trailing 12 P&L Statements and Traffic on a monthly basis. Potential buyers will always want to see the most current data for your company. Keeping your books updated will make it easier to keep your listing updated and ultimately potential business buyers. 3. Continue to Operate Your Business – The most important thing you can do while your business is listed for sale is continue to operate the business as if you were going to keep it. Sometimes business owners have chosen to sell because they have lost interest in their website business or they just have other ventures keeping them busy. Unfortunately, if the seller does not maintain focus on the business and continue to run it to keep it stable or growing, it can decline and in some cases begin to atrophy. Since the selling price is mostly affected by the recent Trailing 12 Months Net Income, declining profits will put downward pressure on the price and all of the hard work that was put into building/operating the site may be lost in terms of reaping its final reward. It is in your best interest to keep operating your business with an eye on keeping profits stable or growth to get the best selling price. 4. Answer Preliminary Questions Timely – After reviewing your company prospectus, interested buyers will likely have specific questions before submitting an offer. Responding to these questions as quickly as possible will go a long way in keeping momentum with the interested parties and moving forward toward an offer. In addition, having a solid grasp of your business and operations will transmit confidence in an interested buyer. 5. Prepare for Due Diligence – Once an offer has been accepted, the buyer will have a specified and agreed upon period of time to substantiate the data initially presented when the business was being promoted for sale. Gathering all of your documents required for this process such as financial statements, bank statements, merchant accounts, tax returns, etc. ahead of time and having them ready to provide a buyer who has extended an acceptable offer will facilitate a quicker smoother due diligence period. Having this support documentation readily available and provided timely can instill a sense of trust and security to the buyer. Besides your data being successfully substantiated by the buyer, this more than anything will secure a closing after an offer has been accepted. 6. Be Flexible – In today’s economic environment, it is important for sellers to be more flexible with their sale terms. While most sellers would agree that their ideal offer is an all cash deal at full asking price, these deals are not the norm. For buyers offering all cash at close, they usually offer less that the list price as a trade-off to presenting all cash. Other buyers may not be able to provide all cash at close either through their own means or outside financing. These buyers will likely offer a portion of the price as cash at close and request some seller financing for the remainder. Offering terms with a decent interest rate to a buyer is a nice way of receiving a good return on your money as well as the benefit of some tax deferral. Being more flexible with terms may also mean accepting less upfront in lieu of a back-end, upside earn-out or profit sharing arrangement. While every deal depends on the party acquiring the business and the confidence in the person who will be taking over the reigns, being open to different deal structures such as coming down off the ask price for full cash offers, providing some seller financing or accepting an earn-out or profit sharing arrangement, may be the difference between getting a deal done or having your business sit on the market unsold. An experienced website sales professional should be able to help navigate you through the negotiation and explain these concepts in more detail. Following these simple tips and guidelines will make for a speedier, smoother sale process and likely insure a deal is consummated allowing you to exit your business sooner and get you one step closer toward your future goals. Do You Have an Exit Strategy for Selling your Internet Business? Often times when starting or acquiring a website business, owners overlook the importance of an exit strategy. What is an exit strategy? It is a plan for when an owner may want to sell a business. Selling the business is usually not on most people’s minds when they are just getting started, but it should be. Besides the obvious which is to grow the business to make it profitable for the current owner and to increase its monetary value for future sale, there are a few housekeeping items that should be done upfront and along the way prior to selling. Considering and taking care of these items will not only make the process smoother when it comes time to sell, but will be crucial to getting the most value for the company. Think over the details that should be in place now to make it easy for a buyer to review the business details and to ultimately transfer the business later. The most important item to consider is the function of bookkeeping. It is amazing how many businesses today are still run out of a shoe box of receipts. This has especially been the case with sole proprietors whose personal finances are mixed with those of the business. In addition, many business owners operate several businesses and combine transactions making it difficult to separate out any single business for evaluation. By starting early on with an accounting software program and keeping separate books for each internet business, the owner can always get a current and clear picture of the financial operations of the business and distinguish profitability by company which is important to making future decisions. Not only is the accurate bookkeeping necessary for the operations of the business to the current owner, but it will be necessary to provide to any potential buyer. Providing a buyer with income statements is the first step in creating confidence in the business and it allows him/her to quickly assess its financial position. Of course these financials must be substantiated later during the process of due diligence, but do not underestimate the importance of this first impression. Nothing slows down a sale process more than messy books and it can give the appearance of an unorganized business. It is well worth the investment in the software, many of which are very simple to use. Keep track of the website’s stats. By monitoring and recording information on monthly traffic and organic keyword positioning, owners can watch trends and make adjustment in strategy accordingly. This will also allow them to have this historical data easily available to provide a buyer who will want to evaluate this aspect of the website business for sale beyond the financials. Grow the client database and email list. Many ecommerce businesses offer a free newsletter or product discount coupon to entice visitors to sign up by sharing their email address or other contact data. These lists have value beyond increasing customers which may bring in greater sales in the short term. Focusing on capturing email addresses to expand the company email list provides a new future owner with an audience to instantly market to after acquisition. Keep track of any industry recognition or trade press that the business has received. By keeping this information together and organized, it can be readily available to be included with the promotion of the internet business to a potential buyer. It’s never too early to think about an exit strategy for selling a website business. Paying attention to these few items at the beginning and throughout the operation of the business will go a long way toward making the process of selling the online business smoother when it is time to make that decision.